There’s no way I can get out of my head, get away to the level you can by drinking. I need to get out of my head and put it all on my fingertips if I am going to say, do or suggest anything mildly amusing or outrageous. Or so I’m led to conclude having just read Tracey Emin’s Column in the Independent newspaper. I’m starting to feel jealous of her life style. Her scramble through life is fun to read. I’d like to be the kind of person she’d meet and enjoy. She could be rude to me, crude with me and I’d remember it all. She strikes me as the kind of person you don’t forget with ease. She begins the second paragraph. I wanted to think this was artistic licence; I take to bed to think, to find solitude. She was ill. Sorry. 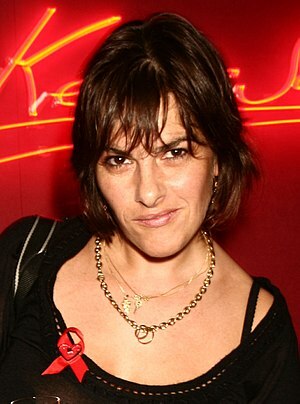 Some people, even Tracey Emin take to their beds when they feel sick. I’m arrogant enough to feel it is the kind of party that I should attend. We had heads this big at Oxford, all of us. At our soirees, our cocktail parties, we all thought we were so brilliant. Many of us turn out to be – I’m not amongst them. I don’t run my own firm of stockbrokers, I’m not a millionaire publisher, a Hollywood director, or an Oscar winning composer. I’m not a leader of a political party in this country, or Europe, or North America, or Asia or Malaysia, all countries that were represented by aspiring barristers and politicians when I was an undergraduate at Balliol. Nor have I written a book, I haven’t finished several. I’m the runner who competes in a marathon every year but never finishes. They make you smile and wish you were there to enjoy her adventures. If I found someone who wrote like this online, I’d want to love them and make love to them. I’d want to get inside their head and share the contents of my mind with them. So where are you Trace? By Jonathan Vernon in Blogging, Creativity, Mind Bursts, Mistakes, Visualization, voice, Writing on February 3, 2006 .